In this provocative and wide-ranging 1991 essay, Robert Kurz marshals Marx’s critique of the basic categories of capitalism and argues for “liberation from labor”, meaning the “‘abstract labor’ embodied in the form of value” that functions “tautologically” as a “self-referential” “end-in-itself” with destructive results for humanity (not to be confused with “human reproductive activity or with the process of metabolism with nature”); rejecting both technical regression (the “poverty of needs”) and obsolete reformism (the “Marxism of the workers movement”) he advocates “the planning and direction of the material nexus of reproduction in a directly social manner”. No socialism of any kind is possible within the horizons of the ontology of labor, which is to say that the commodity form of social reproduction can only be overthrown together with “labor”. This, however, is just as unthinkable for the typical conception of socialism of the old workers movement as it is for its bourgeois antagonist. Even in Marx, this question is still not completely resolved, but remained ambiguous. On the one hand, Marx proclaims (especially in the writings of his youth) the necessity of an “overcoming” of “labor”, but on the other hand he develops, in many passages, an ontology of that same labor. One could, therefore, only attempt to overcome the various social-historical forms that labor assumed, but not its supposedly eternal existence. This contradiction is explained by the still insufficient conditions of development of the capitalist socialization process and science. The content of socialism cannot be the “liberation of labor”, but only and exclusively the “liberation from labor”. It should, of course, be made clear that by the latter I am not referring to the form of human activity tout court, or to the “process of metabolism with nature”, but always and only to the “abstract labor” embodied in the form of value or of the commodity, the “expenditure of human labor power” as an end-in-itself under the material conditions established by the competition between subjects on the market. It is important that such an identification of the concept of labor in general with abstract labor in the form of the commodity should be more clearly explained, since such identification makes an overcoming of the commodity and of money within the ontology of labor impossible. A. “Labor” as a real category includes “non-labor”, i.e., spheres beyond “labor” and social “domains” separated from the labor process. The labor that manifests itself as separate from “free time”, from “politics”, from “art”, from “culture”, etc., is now always abstract labor. Only the capitalist relation as the developed form of value produces in its purity this real separation between “labor” and the other moments of social reproduction. In the past, this separation existed only in an embryonic form in the divorce between the “immediate producers” and the classes exempted from the labor process whose members appropriated the material surplus product. In primitive societies, before the development of classes, however, one still finds the unmediated totality of the reproductive process in which “labor”, or “free time”, or “culture”, etc., do not exist as particular spheres. 1 And this unmediated identity of the life process in all its moments was perpetuated within the process of reproduction of the immediate producers in pre-capitalist formations, up to the threshold of industrialization and the introduction of the capitalist division of labor. It is clear that the separation of “labor” from the rest of the life process cannot be abolished by going backwards, as the modern critique of the productive forces inspired by lebensphilosophie ultimately seeks. The unity of productive labor, life praxis and culture, such as is expressed for example by the songs of the sailors on the Volga, could hardly be recommended as the solution for the contradictions of abstract socialization at their current stage. Any pseudo-concrete and pseudo-immediate “reconstruction” of this unity must end up in the reactionary idealization of a poverty of needs and a state of suffering that the level of civilization reached today effectively renders unimaginable. In the total unity of life praxis that “still” existed in pre-capitalist societies, labor was not yet abstracted as a separate sphere, due to the simple fact that it occupied, as a largely unmediated process of metabolism with nature, almost the entire active space of life. Cultural or “political” moments were mere appendages of an unmediated process of reproduction that embraced everything, not in a “functionalist” sense, but as part of a rough unity, undifferentiated and unmediated, that we could call “organic” only if we wanted to emphasize how close to nature it still is. The concrete character of pre-capitalist labor consists precisely in labor as a totality that involves the unitary praxis of life. Where labor is still total in this sense, its concept cannot be formulated yet due to its lack of differentiation, and it is only as total labor that includes and fulfills the whole praxis of life can it be non-abstract, in the sense of not being a separate sphere for the expenditure of labor power. The contempt for labor on the part of pre-capitalist “ruling classes” therefore also represented an enormous step forward, since only the exemption of a minority in relation to the total labor in the life process that embraces everything could create a distance with respect to nature and prepare a higher stage of its metabolism (a correlation that naturally escapes the consciousness of those involved). The leisure of the ancient “rulers” (still subjected in life praxis to natural fetishes such as blood ties, for example) was in the final accounting much more “productive” than all the “honest productive labor” of universal history. Science was born in antiquity not from “labor” but from “leisure”, from a process leading away from the primitive unity of the life process. One can thus understand that the emancipation of humanity had to pass through abstract labor and that the separation of labor from the totality of the life process was necessary so as to reconstruct its unity on a higher level of the wealth of needs. In fact, as paradoxical as it might seem at first, only the separation of “labor” from the original unity of the life process as a whole, considered as “good” and “desirable”, created a limited “leisure” as well for the mass of the “immediate producers”. Only abstract labor produced an effectively free time, i.e., a time available for the masses. Claims regarding the alleged “free time” of the immediate producers of the pre-capitalist past, so often repeated by the critics of development, end up confusing the simple suspension of the life praxis or the “empty time” within an impoverished and elementary reproductive process based on need, with the active “free” time of the life praxis itself, which can only arise as a result of separation from the immediate process of metabolism with nature. Only abstract labor, which makes immediate reproduction a separate sphere, could gradually generalize this separation. The Volga sailor, in his free or empty time, could, according to the best of these hypotheses, repeat the refrain of his dull work song, whereas the “character mask” of abstract labor increasingly opens up for him a whole universe of possibilities in the free time at his disposal, although naturally the access to this universe remains deformed by the abstract indifference pertaining to the world of commodities. It is not, therefore, a matter of retrospective “reconstruction” of the unity of the life process, by means of the dissolution of abstract labor, but, on the contrary, of conceiving of abstract labor as a springboard towards a higher level of life praxis, a springboard that is today unnecessary because it is useless. Thus, it is not a question of eliminating the hard-won capacity for separation from nature, but of liberating this capacity from the miserable crutches of abstract labor. The overthrow of abstract labor is thus not possible on the basis of productive labor, but on the basis of “productive leisure”. Only from this point of view can Marx’s discourse concerning “the development of the productive forces” as preconditions for a socialist revolution, which capitalism is unconsciously creating, become clear. The logic of overcoming abstract labor is incompatible with the concepts of the old labor movement. The latter could only imagine the extension of “free time” upon the basis of “labor”. Labor appeared as something authentic, and free time as that which is derivative and inauthentic. In the struggle to reduce the “normal working day”, what was in fact conquered and extended was the free time at the disposal of the masses, although with the emphasis placed upon the abstract “normal working day” as indisputable center of life praxis and as the meaning of life. Just as “political” socialism had to be “workers power” and had to be “economically” based upon “labor”, it was natural for that kind of socialism, in the field of culture, to generalize a “workers culture”, whose realist monstrosities and monumental kitsch glorifications of the “expenditure of labor power” played an almost identical role in German fascism and the socialism “under construction” in the Soviet Union. “Work Makes You Free”2 was also the (somewhat secret) watchword of the socialist workers movement. The cultural unity of life praxis could not be restored upon this basis, except as deceitful propaganda. Even when such a unity was in fact formulated as a goal, it rather implied a reactionary regression of the social capacity for separation from the immediate productive process. It always therefore had to be a matter of a unity under the primacy of “labor”. “The idle will go to reside elsewhere”: this verse of the “Internationale” not only expresses an elementary mistake concerning the nature of the abstract social relation of “value”, which is here reduced to a subjective act of the “exploiters”, but also is a threatening gesture on the part of “normal labor” against the perspective of “productive leisure”. Unaware of this, the workers movement here declared itself in favor of the abstract capitalist principle of “labor” and against the liberation of socially available time from the tyranny of labor, which was still historically ascendant. All of this becomes yet more tangible in the distrust shown towards, and the frankly demagogic campaigns against “intellectuals”, which despite some occasional declarations to the contrary, did not spare even the best minds of the old workers movement. This latent or manifest animosity towards intellectuals, which is again identical, even in its formulations, with the positions of fascism, reflected not only experiences with “bourgeois intellectuals” in the context of their capitalist functions, but also the repudiation of an almost “indefinable” social existence outside the familiar atmosphere of immediate productive labor. The whole history of the old workers movement—from the beginnings of social democracy, through the left extremism of the era following World War One, to the Chinese “cultural revolution”—is shot through with demands that intellectuals, artists, etc., renounce their pretensions concerning the contents and ways of their lives, towards the end of preferably subjecting themselves to abstract labor, to the glorification of the repetitive production process and to the spiritual horizon of the “character masquerades” of variable capital. This socialism did not advocate the abolition of the workers existence, but its coercive generalization: it either unconsciously preserved the separation between “labor” and the life process as a whole, as the capitalist principle of abstract labor, or else the abolition of this separation could only be conceived as a rigid dictatorship of “labor” and of its functionaries over all dissident cultural claims and over every conception of life, of the needs or the knowledge that “transcends” its frontiers. The old workers movement proved to be not an adversary of abstract labor, but a historical force capable of imposing it, and moreover claimed the name of “socialist”. On the one hand, the bourgeois culture of “separate spheres” could thus be realized: the “normal worker”, who in his “free time” was herded into the museums and dragged before works of art by well-intentioned functionaries, was the shameful caricature of that fruit of the meditations of the square-headed Germans of official party Marxism, “total man”. On the other hand, opposition to such ideological horrors of the society of socialist labor degenerated into an empty bohemian hedonism that tended to imagine itself to be the manifestation of an abstractly free “socialist will” (which could also, naturally, be interpreted as an emanation of the abstract fetish of “value”) like a kind of vagabond existence, brandishing its bottle at the seashore. The socialist abolition of commodity production cannot be realized as either the embodiment or realization of abstract labor “in the interests of the workers”, or as an inverted empty image of an abstract hedonism, which is itself also still completely dominated by abstract labor. 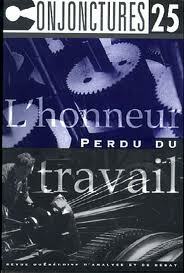 The perspective of “productive leisure” as a positive reference to the abundant needs of our time, the rupture of the veil of abstract “labor” and thus the reunification of the “spheres” or “domains” of the social life process separated by the bourgeois order, are impossible within “labor”, and are only possible beyond it. This “beyond”, made possible by the current development of the productive forces, above all by the new potentials of automation, is not, however, a “reign of freedom” in the sense of a merely ludic and infantile sphere that lies “beyond” the process of metabolism with the rest of nature; this process of metabolism can today only rest upon a diminishing quantity of human productive labor, which, as such, and therefore as abstract labor, as a sphere separated from the mere expenditure of labor power, is revealed to be completely obsolete. The “reign of freedom” already begins within the interior of the process of metabolism with nature, to the extent that the latter can no longer be defined as “labor”. This reign begins, therefore, immediately in the context of a socialist revolution against abstract labor, as the result of the capitalist development of the productive forces, and not as a result, postponed to a distant and indeterminate future, of a socialism which is still part of the society of labor. Together with “labor”, “free time” will necessarily and logically be overthrown; no longer in the sense of a reactionary and repressive “regression” of culture to the continuum of the ontology of labor, but rather as the end of pre-history, in the sense of a definitive break with the hitherto existing continuum of the historical process. B. “Labor” as a real category includes not only the separation of “non-labor” and the decomposition of the social process of reproduction into separate “spheres” or “domains”, but by means of this same separation labor is essentially determined as an end-in-itself. It is just this character of labor as an end-in-itself which was until now defined insufficiently in theory, since the Marxism of the workers movement forms part of the historical rise of this end-in-itself and remains as its theoretical reflection. Only when it is understood that abstract labor is the expenditure of labor as an end-in-itself can one decipher the social tautology that it implies. Abstract labor, or the expenditure of labor power as an end-in-itself, is a tautological process closed in upon itself: what this labor “produces” is again “labor”. The fact that labor would produce labor again can only fail to appear as the absurdity which it is because the difference in the form of labor in its various states of social aggregation conceals this reality for the uncritical consciousness that is daily ensnared in abstract labor. Abstract labor is the fetishism of labor as a tautological end-in-itself; labor, however, produces itself in a different form: living labor produces dead labor or “value”. This “value” is nothing but the unconscious social “form of representation” of dead or past labor “within” the products, which “are” therefore not socially palpable and material useful goods, but lifeless “spectral concretions of labor” (Marx). Abstract labor reproduces itself tautologically, but in the fictitious social form of “crystallized labor” or “value” which, in its consummated form, appears as money, i.e., as the “embodiment of abstract labor” (Marx). The consciousness trapped in the fetish of labor or of value does not see a tautology in the fact that “labor” “generates” something called “money”, since it can only perceive money as the “other” of labor in its crude objective reification, as the social “product of labor” in which only concrete use values find expression. For the old workers movement, completely imprisoned in this social form, the totality of such correlations, and thus the determination of the essence of abstract labor, had to remain an enigma; as a prisoner of abstract labor as an end-in-itself, the thought of the workers movement could not go beyond money as the surface of this formal correlation. All that remained was a series of elementary errors concerning the critique of political economy that could be summarized as follows: the productive relation of abstract labor or of capital seen through the lens of pre-capitalist class relations and forms of appropriation. These errors had their logical root in the separation of the category of “surplus value” from the misunderstood category of abstract labor. The tautological process of abstract labor only “made sense” insofar as the expenditure of labor power as an end-in-itself does not reproduce itself on an always-equal level (it would then be only a question of an unsustainable absurdity), but, on the contrary, if it perpetuates itself as “extended reproduction” on an ever-expanding scale. The internal mechanism of this constantly extended reproduction is precisely “surplus value”, i.e., the fact that living labor power, tautologically utilized as an end-in-itself, could come to “represent” “more labor” in a dead and crystallized form of that which it “cost” in that form. On the qualitative level, the tautology of the abstract labor process expresses itself as the absurdity that labor produces nothing but “labor” in a different and fetishized form; on the quantitative level, however, there is an alteration in the measure in which living labor produces a mass of dead “labor” represented in objects, a mass which is always growing in relation to simple reproduction proper. Historical “meaning” (considered a posteriori) is not derived from this purely quantitative and continually extended accumulation of dead fetishized labor in the abstract form of “value”; such a meaning is found, rather, indirectly, in that which this accumulation “involves”, in a blind and unconscious manner, in terms of the material development of the productive forces and of the application of science to the social reproductive process. It is precisely this blind process of gradual and dynamic extension of all human possibilities that best illustrates the Hegelian expression, “trick of reason”. Thus, in the rigid and traditional pre-capitalist modes of production, based upon the poverty of needs of the mass of “immediate producers”, there could be no conscious motive for the development of the productive forces as such. The fetishistic motivation of “surplus value” and the transformation of labor into an end-in-itself were necessary to stimulate this transitory process, by which all constraining, impoverishing, traditional and natural relations are “involuntarily” evaporated and overthrown. The first great moment of emancipation from human pre-history, which coincides with the bourgeois epoch, could only arise as a set of “unintentional” collateral effects brought about by the autonomization of the movement of money, sordid enough in itself. It is for this reason that “surplus value” constituted a progressive and forward-looking principle concealed within the fetishistic veil of tautological abstract labor. In this manner, meanwhile, the concept of private property was also lost. If the forms of pre-capitalist property are connected to natural fetishes (landed property and kinship), private property is the social fetish of “value”, disconnected from natural fetishes. In its developed form, as “surplus value”, private property is only the juridical-fetishistic concept of the tautological and self-referential relation of “labor”. It does not make the slightest difference whether the institutional bearer of this relation is called John Smith, the Society of Equals, the Corporation, the Commission of Public Health, the Socialist Workers State, or the Central Committee. As long as the social relation is still dominated by the tautological end-in-itself of abstract labor, a relation of private property will also persist, and all of its bearers will be found in a state of abstract particularity, which has to generate, as its functional opposite pole, the universality of the State (as an apparatus “external” to society). Or, to put it in “practical” terms: the members of society, as abstractly private entities, establish relations among themselves first by means of money (the embodiment of abstract labor) and afterwards by means of a juridical system which assumes the forms of the state and bureaucracy. Such relations are only the phenomenal forms of the fact that these subjects are not capable of concretely regulating the socialization process itself, or of consciously mastering it. This concept of private property, the only adequate one, now seems strange at first sight because it goes beyond the habitual and customary concept of this relation, as it was formulated by bourgeois consciousness, including the workers movement. In this reductive conception, private property is conceived as a juridical illusion separate from the real content of the social relation, i.e., as a mere voluntary relation of a subject that is not constrained by any determination by things (means of production and “fruits of labor”). Private property is reduced in this context to determinate phenomenological forms by which it manifested itself historically and which have now largely been rendered obsolete, forms that still seemed to correspond to the bourgeois juridical illusion (whether as “personal possession” or as exploitative personal subjectivity). The alleged struggle of the workers movement against private property was therefore always and exclusively waged within the limits of that same private property,4 that is, it referred to alternative and “higher” forms of private property, which could no longer be identified as such. And the workers movement was “progressive” within the frontiers of abstract labor and only to the extent that it pushed capital’s socialization process towards these higher forms, i.e., towards surplus value and private property, although without conceptualizing them. This holds true until the end of the Second World War, as much for the tendencies towards the “Social State” in the West as for the creation, in the East, of a “form of bourgeois catch-up modernization”. The more, however, that the dynamic of abstract labor accelerated and overreached itself, the more that it began to enter its terminal state, the more did the reactionary traits of the workers movement and its “Marxism” stand out, as much in the West as in the East. The goal of an alternative plan to realize the “the society of labor” became a factor of stagnation that restrained development, as soon as “labor” as such reached its historical limits. While the conservative class of western wage workers with their now petrified institutions were still clinging to the pure expenditure of an always more obsolete abstract labor power and displayed distrust and rejection of the new technologies of socialization and automation, the equally petrified State administration of the “planned market” of the “society of labor” in the East constrained the social productive forces in an increasingly antiquated form. The western trade unions concealed behind the demand for the “social compatibility” of the coming science-directed process the reactionary pretension of freezing the new potentials of automation within the limits of abstract labor: restricting progress, in the most generous hypothesis, to the traditional “reduction of the working day”, means a slight extension of “free time” without affecting the primacy of “labor” as the center of social life. Such a reactionary pretension, however, is condemned to remain a pure illusion. Abstract labor exhausted itself historically because the self-referential tautological process of abstract labor is irremediably paralyzed by the technological-scientific potentials it unleashed. The old model of social democratic trade union reform that posits “moderate progress within the limits of the law” has become absurd, since its very object has turned to dust. On the other side of the “world of labor”, the administration in the East, incredibly antiquated and backwards, devoted to the creation of “forms of bourgeois catch-up modernization”, also ran out of steam. Here, also, its “progressive” nature was limited to the creation of a modern bourgeois society, under the conditions of a conscious acceleration of the process. This “consciousness”, however, could not go beyond this acceleration and its (temporary) administrative isolation in relation to the more developed West. The “higher forms” of private property, borrowed from the West, conceal under a threadbare cloak of “modernization” a still archaic reproduction in many sectors of the Soviet Union, China and parts of Eastern Europe, and could barely superficially serve to create the most basic forms of bourgeois society: abstract labor, money and law, as well as general social regulations and, on the material level, the basic industries and the fundamental elements of a modern infrastructure. With this, the external administration of abstract labor was exhausted. The specific character proper to the higher forms of private property, which in the East passed for “socialism”, increasingly took the form after the Second World War of a brake on the further development of the productive forces. This specific character consisted and still consists of the administrative impeding and obstruction of the pecuniary motivation based on the still existing monetary economy, i.e., of bureaucratic paralysis of the dynamic of abstract labor based upon abstract labor. It was an attempt to realize the squaring of the circle, of acting consciously (planning), while relying upon the unconscious (abstract labor, “value”, the commodity form, money). The pride in having eliminated a certain form of private property, erroneously mistaken for its form tout court, and with it, presumably, production based on “surplus value”, was revealed to be a devastating “own goal”. In reality, “surplus value” as such was not eliminated, only its dynamic potential, which propels it forward beyond itself, whence its “progressive” potential. That is the price incurred by the “form of bourgeois catch-up modernization” temporarily speeded up, which then ends up in backwardness. This external administration of surplus value was good enough to “make something grow from nothing” with respect to the basic bourgeois categories, without any consideration of the “freedom” of the financial motive and without adjusting to the then-suffocating logic of the world market. As a society that “becomes” bourgeois in precarious conditions and a state of scarcity, “real socialism” was doomed to fail due to the same forms of administration that irremediably delayed and restrained the later “intensive” development of the productive forces within the artificially created basic bourgeois categories. Against the dynamic of abstract labor in crisis, while the bulk of the western workers movement acted as a reactionary brake on innovation, the workers movement of the East, crystallized in a state administration of “surplus value”, actually had the structural “power” to retard the progress of labor productivity, which led to another form of crisis. The West underwent the crisis of the dynamic of abstract labor, and the East underwent the crisis of the stagnation of that same labor. The same tendentially reactionary character of the workers movement and “its” Marxism is also revealed within “labor” itself, in its apparently “concrete” side, i.e., in relation to its material and technical/scientific character in automation. Even though Marxism possesses an explicit concept of abstract labor, it always contained the seed of a reactionary element. Even when the concept of labor was not understood simply in a definitive a-critical and affirmative manner within the framework of the ontology of labor, but “critically”, this was given on a directly empirical plane, on the level of the capitalist division of labor. “Abstract labor” was only the “pumping” of labor out of the “immediate producer”, i.e., the withdrawal of “intellectual potentials” from the productive process until it is reduced to brute labor, emptied of content and divorced from science in the process of metabolism with nature, an “abstract” labor that implies indifference and frustration. This apparently “critical” analysis of abstract labor actually rests upon a major conceptual confusion: it thus remains, one might say unconsciously, on the plane of “concrete labor” which, as such, implies “abstract labor” on a completely different level. The other level, however, is that of the determination of the social form, which is in no way identical with the technical-material form of the division of labor. On the contrary, abstract labor as determination of the social form is nothing but “labor” in the form of an end-in-itself or “labor” in the form of “value” as tautological self-reference, totally independent in principle from the respective technical-material form, i.e., as a principle of the social form. The latter already is posed in nuce by the value form as such and thus, by the pre-historical existence of money, although it is only fully developed in its own right and reaches its complete unfolding in the figure of “surplus value”. The capitalist division of labor and its subsequent development on the technical-material level are not the cause and the essence, but rather the result and the phenomenal form of this tautological principle of the form of social “labor”. This phenomenal form on the technical-material plane is denominated the empirical becoming-abstract of concrete labor, as distinguished from the principle of the form of abstract labor itself. This empirical becoming-abstract of concrete labor is such only for the immediate producer, i.e., for the inverted manner in which the latter experiences the blind process of the incorporation of science within capital on the plane of his immediate “concrete labor”. The process of metabolism with nature as a whole, as a social totality, obviously remains concrete, except that this concrete totality is now broken up “for” the diverse agents of reproduction into moments isolated or separated from each other. The knowledge of nature and the science of nature, the technical direction of the organization of labor and productive machine labor become, on an increasingly expanding scale, moments isolated from each other within the concrete whole, insofar as logically the last link in this current of the influence of science, the “immediate producer”, will be the most lastingly affected by the empirical becoming-abstract of concrete labor. It is easy, however, to understand the reactionary consequences that will necessarily follow if the overthrow of this nexus is not promoted from the perspective of the development of science itself, but from the point of view of a “reconciliation” between the scientific process and immediate productive labor. The concept—apparently “critical” but in reality conceptually reductive and vacuous—of abstract labor as the merely empirical becoming-abstract of the immediate producer’s labor opens the door to such reactionary consequences. This is so because to the extent that the commodity form of reproduction, that is, the principle of the fetishistic and tautological self-referential form of “labor” as “value”, is not taken into consideration or remains alien to the critical viewpoint, critique will be imprisoned within the shell of the fetish or will be “sociologically” limited to the mere phenomenal forms of this principle of the form within concrete productive labor itself (all “leftist” industrial sociology lives on this reduction). This “a-conceptual concept” of abstract labor is still compatible, in its empiricism, with the very principle of the blindly assumed form, and thus also with “labor” as a separate sphere and with the intention of the workers movement—potentially always reactionary—of overcoming the separation between “labor” and the life process as a whole by means of “labor” itself. Within “concrete labor”, this means nothing but wanting to somehow “reclaim” the intellectual and scientific potentials, engendered by the process of metabolism with nature, for immediate productive labor or for the expenditure of labor power. An enterprise which is obviously condemned to failure, the more so as the “empirical becoming-abstract of concrete labor” also overtook over the long term the “spheres” or “domains” of reproduction outside the immediate productive process. In this manner the last “utopia” of the Marxist workers movement also became obsolete and ridiculous, i.e., the idea of “overcoming the division of labor” on the basis of abstract labor. In more precise terms, this utopia is in a way negatively realized by capitalism itself, to the extent that all agents of reproduction are tending to be gradually reduced to a pure and undifferentiated expenditure of labor power. The “concrete totality” of reproduction ends up confined to an ideal-typical existence, completely external to human subjects, under the empire of the tautological principle of the form. The labor movement often imagined the overcoming of the capitalist division of labor as a kind of unification of all the particularities of this division in one person: the “man of the future”, a specialized worker or artisan with a diploma and a bonus, a kind of monster created by the fusion of singularities and “utopian” in the worst sense of the word.5 These desolate utopias, in the current state of the application of science to industry, simply lose their object and thus become as absurd as they are ridiculous. The “empirical becoming-abstract of concrete labor” cannot be overcome within abstract labor itself, i.e., upon the basis of the tautological principle of the form that, as such, must be overcome. The “overcoming of the division of labor” is only possible beyond labor, a circumstance that can only be fully recognized today. Both the western reformist plans for a “humanization of the world of labor”, accompanied by “job creation measures”, as well as the miserable utopia of the East, riddled with labor fetishism and the “self-government of the working class” within the “society of labor”, reveal themselves against this background as perverse as they are thoughtless and illusory. The development of the productive forces today surpasses both varieties in all their historical nuances. The conscious direction of the process of metabolism with nature implies the transformation of “the expenditure of labor power” into conscious “activity” on the concrete and material plane, which refers immediately and individually to all that is concrete in scientifically advanced reproduction. This activity does not aim at a “recovery” of scientific potentials by the immediate productive process, but the overcoming of the latter by means of these potentials. This hidden and until now blind logic of the economic application of science has only now reached its mature stage, which makes it completely visible. It imperatively demands the overcoming of abstract labor as the overcoming of the tautological principle of the form in all its changes of appearance, i.e., the overcoming of “value”, of the commodity and money, which on the concrete and material side means nothing but the overcoming of the capitalist division of labor through the overcoming of the very ontology of labor, by way of the overcoming of the immediate producer, which is in turn identical with the overcoming of all particular and separate scientific and administrative functions which are found beyond this immediate producer (including “state functions”). C. The actual category of “labor” must also be conceived as abstract labor in the sense of a destructive indifference regarding the material content of the agents set in motion. This indifference is manifested not only on the subjective and psychological plane of “dissatisfaction with work” but also and above all as a growing “objective factor of catastrophe”, i.e., as an objective process of world destruction. When labor was identical with the totality of the life process, it could only be concrete as part of a reproduction process short on needs and closely connected to nature.6 Only social labor—as a “domain” separated from the totality of the life process, in the form in which industrial wage labor arose—was capable of setting in motion such a peculiarity (which had always been latent in the form of the commodity) of labor as abstract labor and as an end-in-itself: “labor sans phrase” (Marx), labor without any determination of social content. Thus, a blind social machine for the abstract utilization of labor power arose, whose tendency consists in absorbing within its vacant movement man, nature and everything that it touches, directing them and later evacuating them into the other form of labor, the dead form, i.e., as money, without, apart from this change of form, adding any other qualitative end. This social machine has to put material quality into motion: raw materials, natural forces and living human labor; such qualities, however, do not constitute a goal nor do they produce any end by themselves, they are only means in the tautological and self-referential process of abstract labor. There is, therefore, a reversal of means and ends: labor is no longer a means towards the qualitative end of the appropriation of nature, but, on the contrary, the qualitative and material appropriation of nature is only an indifferent means for the process of the change of form of abstract labor as an end-in-itself. For the operation of the social machine of “value” which is represented in money, it is objectively a matter of indifference what happens to the material and qualitative components of its gigantic global process of digestion, or what consequences this process brings about on the material and qualitative plane. The world is transformed and composed without “meaning”, since “meaning” resides in the process of transforming and setting in motion as such, which must represent itself on an always expanding scale in the dead form of money and of self-multiplication (“self-accumulation”) in constantly-repeated cycles. During the formation and rise of this social machine, and with that of the old workers movement (as a partial moment and motor force of this machine, not as a potential director), the emancipatory and “civilizing” effects of this process prevailed, despite all its critical, negative and, from the very beginning, destructive and threatening moments. The process of abstract labor, including the incorporation of science on an ever increasing scale in the reproduction process as a blind “means” of its abstract end-in-itself, not only progressively created the mass consumption of goods (that previously served luxury consumption), but also a new and unprecedented confluence of needs and possibilities. Within these boundaries, while labor was maintained as the core moment of reproduction, the enormous destructive potential that lurked in this “unhindered” end-in-itself could not yet be recognized and understood in its full import. In pre-capitalist living conditions, the ancient totality of labor was not very distant, and the old stimulus of penury and poverty was still too much a reality to overcome or even to imagine something beyond the end-in-itself of “labor”. Labor as such, even in its new form, appeared to produce, in essence, with a number of exceptions, only useful and necessary things; all that seemed to matter was the fact that the bearers of living labor should receive a sufficiently large part of its “fruits” or, in the best cases, that they should reconquer from “capital” (conceived “sociologically” or as a person) the control over their own labor. The peculiarity of the social determination of this labor “behind the backs” of the visible social subjects, or its specifically tautological and empty character from the social point of view, never effectively entered the field of vision of the workers movement or its Marxism. Concerning this incomprehension, nothing essential has changed to this day. The manifest phenomena of a new “economic” crisis are also still interpreted within the old reductive conceptual horizon. And a new element of confusion arises from the fact that this nascent crisis of abstract labor and the commodity form has initially affected the weakest members of the contradictory global system of commodity production, i.e., besides the Third World, precisely the “socialist” systems in the tradition of the October Revolution. The disorientation is great, since the interpretative model of this new situation has yet to be elaborated; the commodity form as such is not yet the object of a critique that could act as a “social discourse”, even in that public sphere dedicated to theory. One cannot, however, ignore the new dimension which is now presented as the “ecological crisis” and which appears to carry on a completely autonomous existence alongside the old constellations of crisis and conflict. This dimension is actually treated as if it were completely foreign to the “critique of political economy”. This is inevitable, since that “critique” is not coherently conceived as a critique of abstract labor itself, nor has it developed beyond Marx, on the basis of the new phenomena. While the self-proclaimed “anti-capitalist struggle” gravitates around questions of distribution and of “power” within the “value” form and while even its most extreme objectives still share the bourgeois juridical illusion of the concept of “property”, it will not be able to reach the true basis of this social relation. And the new phenomena (new at least with regard to their scale and gravity) of the potential of “ecological” destruction of abstract labor will arise only as an absolutely “different” problematic situated on another plane. The prerequisites for a variety of “critical thought” concerning the complex of problems of bourgeois society that is not based on the “critique of political economy” (and actually stands in explicit opposition to that critique), were already developed and prepared by the “romantic” and “irrationalist” trend and also by the “cultural pessimism” of bourgeois ideology.7 Since the beginnings of industrialization, this tendency traced all the negative phenomena of the economy based on the commodity and of its process of totalization not to the cell form of abstract labor, but directly to the material side of the process of industrial labor, i.e., to the application of science to the process of metabolism with nature. The natural sciences and their industrial application as modern technology were the objects of an ideological process. Thus arose a faction of “cultural pessimism” within bourgeois thought, constituted by innumerable isolated moments and historical currents (in part, mutually contradictory): from the critique of industrial production as “devil’s work” to the denunciation tout court of natural science as “hostile to life”, from the refutation of scientific thought in general as “bloodless” to the rejection of urban civilization as a “decadent asphalt desert”, from the romantic or late-romantic transfiguration and idealization of the Middle Ages to “neo-religion”, from biologism and Social Darwinism to anti-semitic currents, from Nietzsche to the philosophy of vitalism and existentialism. This trend in bourgeois thought presented itself from the beginning, in the same guise of the form of the commodity, as a fellow enemy of the “bourgeois faith in progress”, of “rationalism” and of “positivism”, but from very early in its history proved to be at least capable of registering and lamenting the destructive phenomena of “modernization” such as the incipient destruction of nature and the threat posed to the material bases of life. Bourgeois positivism “of a progressive orientation”, as well as the workers movement and Marxism, were equally inclined to close their eyes to such phenomena, to accept them with equanimity as the “price of progress” and to attribute to the critique to which they were subjected the reactionary and irrational character of the currents of cultural pessimism. In this fashion a particular constellation took shape in ideology and social theory, in which the “positivism” derived from the natural sciences, linked with liberal and conservative currents in politics, could be transformed into the basic ideology of the bourgeoisie, while cultural pessimism and Marxism competed with each other as ideologies of opposition in the camp of social critique. For a long time, the left was content to distinguish Marxism and the workers movement as the “true” opposition to the system, as opposed to the “pseudo-opposition” of “bourgeois” cultural pessimism, noting that the latter overlapped with fascism. But this distinction concealed the fact that Marxism and the workers movement also formed part of the bourgeois continuum and operated within the same unknown determination of the form of abstract labor. The Marxist “critique of money” was no less incoherent than the one developed by cultural pessimism. Just like the latter, Marxism could only arrive at the critique of the “mode of utilization” and the postulate that “money must not be everything”, without touching upon the determination of the basic form as such. As Marxism itself never really took the critique of political economy seriously and never carried it to its ultimate conclusions, it remained a ramification of bourgeois thought, circumscribed by the horizon of an era in which the “civilizing mission” of abstract labor had yet to be completely fulfilled. Positivism, cultural pessimism and Marxism revealed themselves ex post facto as fellow enemies of one and the same kith and kin, that of the bourgeois enlightenment, and its thought, as thought of one and the same form, the form of the commodity. As ideologies, they are as complementary as they are incompatible, although it did not seem so at the beginning, when the waves of the “struggle for progress” still rose high within the commodity form. To the degree that the still unknown crisis of abstract labor and the commodity form matures in our time, the only seemingly irreconcilable old antagonisms will begin to fade away and dissolve: the complementarity of bourgeois ideologies leads to their eclectic convergence. Cultural pessimism was not defeated along with fascism; in reality, it is only today that, as ontological fundamentalism and as critique of science and civilization, it comes into its own and obtains its maximal plausibility in the face of the undeniable relevance of its old critique of the destruction of the natural foundations of life, a critique that was always ontologically based, in the sense of the preservation of a “natural world order”, on all the reactionary features of such thought. Marxism withdraws before the new phenomena of crisis, which can no longer be understood by means of its sociologically reductive framework, and positivism attempts to disguise itself with promises. The Green Party, and especially its left wing, constitutes, within this context, one might say, a model of banal eclecticism, in which basically bourgeois ideologies celebrate horrifying weddings. The Marxism of the workers movement is not transcended by “moving forward”, in the sense of pursuing a more consequential critique of political economy, but one that would nonetheless continue to vegetate in its most reduced form possible, as a “social component” and “trade union cover”; positivism, stripped of all theoretical and scientific grounding, is integrated as a pragmatic “new realism” and as recognition of the “market” or of the “profit motive”, which is taken as unavoidable and insuperable; cultural pessimism, finally, finds refuge and acceptance as “ecological consciousness” and an evocation of nature, and assumes the form of commonplaces that unconsciously infiltrate the discourse of politicians. This indigestible and increasingly diluted potato soup, meanwhile, becomes the “spiritual” nourishment of the whole academic, ideological and political spectrum of a society that finds itself in its intellectual death-throes, on the verge of economic and ecological collapse. “Anything goes”: the green and the red shake hands, but also the red and the black and the black and the green, not to speak of the brown; “real conservatives” appear as “leftists” and the left as the right, and the worker, nonsensically, appears as bourgeois and the old bourgeoisie, with equal skill, as a managerial worker. The mere recognition, however, of the fact that phenomena radically change, by no means implies that they are understood or much less resolved. It is not enough to want to adapt oneself in some way, like a chameleon, to changed circumstances and to throw out radical critique as well. The academic left is in as terminal a state as the Marxists of the movement that plays the game of politics. The absence of any understanding of the facts is sold as “liberating fantasy” and perplexity as anti-dogmatic modesty. The eclectic promiscuity of social theory is equivalent to its total demoralization. In the face of this collapse of ideas that precedes the collapse of the real bourgeois categories, a positive redefinition of socialism, which has the immodest pretension of a new revolutionary responsibility in relation to the crisis of bourgeois society and of the blind and catastrophe-prone machine of “modernization”, can only be based on a new coherence in the critique of political economy. The new basis of this critique has to be the critique of abstract labor in all its aspects and the postulate of its effective overcoming. The central point is the overcoming of the self-referential and tautological process of social labor, i.e., the overcoming of the process of the change of form of abstract labor, as the overcoming of “value”, of the commodity and money. Not, therefore, the absurd “market planning”, as in “real socialism”, but the overcoming of the market as a duplicate existence of abstract labor in money. This overcoming of the fetishistic tautology of social reproduction simultaneously implies the overcoming of the “separate spheres” or functional sectors of bourgeois society, above all “labor” as an abstract sphere separated from “free time”, from “disposable time” and from “culture”, which in turn implies the constitution of a real unity of the social life process, free in its totality from that functionalism. This also implies the overcoming of the blind separation of the “units of expenditure of social labor time” from the tactile and physical quality of the raw materials and natural forces employed. Each quantitative decision concerning the employment of the productive forces must at the same time be a qualitative decision concerning its use value, which means that the abstract “commercial-economic” calculus must be set aside. This total overcoming of abstract labor is only possible, in the first place, as an overcoming of “labor” tout court, which must not be confused with human reproductive activity or with the process of metabolism with nature; secondly, it is only viable as the direct overcoming of the “immediate producer” and of the whole history which took the latter for its protagonist. Socialism thus understood is a logical impossibility within the ontology of labor or as a consequence of a “workers and peasants point of view”. If this radical redefinition of socialism means taking the critique of political economy seriously and coherently pursuing it to its conclusion, this is not a utopia in the negative sense of the word, but an imperious necessity in the face of the maturity of the crisis potential of the world system of commodity production. The “labor crisis” and the “ecological crisis” are not independent phenomena, but partial moments of one and the same process of crisis of “value” or the commodity form. A “new concept of labor” on the unknowable and unattainable terrain of this determination of the social form is now useless, as is the impotent mobilization of a “new ethics” as the last flirtation with Kant; only the overcoming of abstract labor at all levels will do, on pain of ruination. Starting from this basis it will be possible to reach a clearer understanding of and to elaborate more precisely the general determinations of this overcoming. With regard to no other point, perhaps, does the bourgeois nature of the Marxism of the workers movement, even of its apparently most radical elements, become as clear as when it addresses the question of “exchange” in the allegedly non-bourgeois socialist society to which it aspires. This is one of the few points in which Marx’s explicit declarations show themselves to be, on the whole, unequivocally incompatible with the rest of Marxism. If, concerning an “ontology of labor”, the positions taken up by Marx in many of his writings are revealed to be frankly ambiguous, dubious and self-contradictory,9 this does not apply to his definition of “exchange” in a socialist society, above all in his Critique of the Gotha Program. That definition states simply that no kind of “exchange” can exist in a socialist society. Here, even the habitual subterfuge of the Marxists, who are accustomed to sweeping all of Marx’s uncomfortable declarations under the rug, claiming that they are only valid for the “later” and “higher” stage of a communism deferred to an imaginary future, and are therefore absolutely irrelevant for any sensible theoretical discussion, loudly crashes to earth. Marx speaks explicitly of the “first” stage of “socialism”, immediately after the revolution, in which all “exchange” must lose its purpose and thus be abolished. It is not worth the trouble to look for clear evidence for “revisionism” even on the philological level, even for the apparently most orthodox Marxists, since fortunately the merely philological authority of the letter of the sacred texts became so preposterous that today no one with pretensions to being taken seriously can argue on this level. This affirmation of Marx’s theory must, therefore, be considered solely and exclusively on the basis of its objective content, in which its weight is already sufficiently great, since Marx had to powerfully formulate this apodictic argument against “exchange” in order to conform to his own “critique of political economy”. Conversely, Marxism’s attachment to the category of “exchange”, or its total lack of clarity on this theme demonstrate an absolute incomprehension of the much-evoked “critique of political economy”. It can be shown, by noting its consequences for the concept of socialism, whether the theoretical critique of bourgeois society was understood or not. Why does the Marxian apodictic denial of “exchange” in a socialist form of reproduction so necessarily follow from the critique of the capitalist mode of production? The heart of this critique lies in the critique of abstract labor as tautological and self-referential process of social labor, as production of “dead labor” or “value” by means of living labor. But this self-referential and tautological quality, however, is only possible through the change of form of labor, which “represents itself” as its own other in money. In other words: the reproduction of society as thus constituted is not possible as an immediate identity of production and consumption, but must be duplicated as “production” on one side and “exchange” or “market” on the other. The change of form of the social tautology of “labor” is realized in such a way that, in the productive process, living labor metamorphoses itself in the form of use value of the goods produced, which “are” at the same time concrete useful goods and dead abstract labor. The change of form is only complete when, in the “exchange” of the market, the social abstraction of the form of dead labor is separated as money from the useful goods, and the dead labor “is represented” in a pure form. The exchange, therefore, is nothing but the realization process of abstract labor. And the market, in which this “exchange” takes place, is nothing but the “sphere of realization” of the subjectless social tautology, i.e., of the end-in-itself of the transformation of living labor into dead labor, or even of the transformation of social labor into another form of itself. This split of social reproduction into “true production” and “exchange” is simultaneously the nucleus of the general schism of this society into separate “sectors” or “spheres”. Now one can easily understand why Marx could only apodictically deny the sphere of “exchange” any role in socialist reproduction from the very start, since its liquidation was only the logical consequence of the liquidation of abstract labor, without which, in turn, no overcoming of “political economy” or of “capital” is conceivable. If he had treated the “realization process” of the social fetish of “labor” as a functional category of socialism, he would have had to consciously make a basic determination of capital into a “socialist category”. Marxism did just that, by formulating the question of how the aspects of “exchange” would function in socialism. It thus unconsciously absorbed into its concept of socialism a premise bequeathed by the logic of the commodity, which by itself is enough to cause the whole theoretical and practical determination of any social planning to fail miserably in advance. The postulate of “exchange” in socialism is only the logical consequence of abstract labor, which the latter also blindly assumes. The apology that could be offered for the above procedure is obviously the “very weak development of the productive forces”. If this over-inflated formula is not to serve as merely a superficial defense, it is fitting to ask what, in short, this means. Above all, one should draw a clear dividing line with respect to the hitherto-predominant apologetic of “real socialism” which is melting away before our eyes. This apologetic uses the above-cited formula to justify—to the point of complete confusion—a “difficult socialism”, as if the concept of socialism were to be possible without its preconditions, as if the “real existence” of abstract labor and of “exchange” were the causes of socialism’s “difficulty” rather than the determinations of its logical impossibility. To what extent is the development of the productive forces “very weak”? To the degree that it is the expenditure of human labor power in general which essentially determines production, i.e., to the degree that human labor power itself, as such, continues to be the essential productive force. Thus measured, abstract labor cannot be overcome and there can be no socialism. Only when science as a productive force, as a different and higher form of human reproductive activity, begins to exceed the expenditure of human labor power in production itself, does abstract labor enter into crisis; it becomes obsolete and has to be replaced by “productive leisure”, a phenomenon on the rise today in the most developed western countries. Science as productive force is also a human productive force, but on a different plane and on a higher level. “Productive leisure” implies, among other things, that the natural sciences and their technological applications, transcending the repetitive expenditure of labor power, are rendering the latter increasingly superfluous. The supervision of the components of production put into motion, and their design and further development, overtake the expenditure of labor power and replace it. In this way, the tautological and fetishistic process itself of the change of form of “labor” into something dead and different from itself, i.e., into “value” and “money”, is exhausted and loses its meaning. Only the repetitive expenditure of labor power, as the regularly renewed “representation” of great amounts of labor, can function as “labor”, but not the “productive leisure” of science, which extinguishes itself even before true production and does not repeat itself millions of times or “represent” itself in dead products. Concerning exchange, the same process reveals itself on the phenomenal plane as the real “separation” and the real merging into a network of social reproduction. The “weakness” of the productive forces is manifested within production by the fact that the latter is principally determined by the expenditure of human labor power. In respect to total reproduction and social relations, this weakness must appear as the relative separation of the producers, and therefore as a need for “exchange”. It is important to understand, however, that this “separation” is only a phenomenon, and not the essence and precondition. Production as the expenditure of labor power is the essence and precondition, and thus, as a tautological end-in-itself, appears in the separation of the producers from one another and installs itself as “market” or as the sphere of “exchange”, in order to “realize” the social tautology of “labor”. The separation of the producers and, consequently, “exchange”, are the phenomenal forms of abstract labor or of the tautology in which the pure expenditure of labor is dissolved. At the highest stages of the development of commodity production, where the elements of abstract labor have already been formed and where, consequently, “exchange” attains a certain regularity and consistency, the producers are still separated from one another as before, but are nonetheless less and less “independent” of one another. One could even say that the more “private” the labors become, the less “independent” they are of one another in the concrete and material sense. The reason for this resides in the development of productive forces that overcome the immediate relation to nature and cause a division of labor to arise which is of a higher order compared to the rough division of labor which prevailed in the immediate relation to nature. In this way, a material interdependency is created among the separated producers which tends to convert them into producers of abstract labor and which imposes the fetishistic duplication of labor as “value” or money in the schismatic sphere of “exchange”. The nexus that materially links the separated workers as a totality of social reproduction thus exists “in itself”, but not “for” the producers, i.e., it exists “externally” to them, as an objectivity counterposed to them and as the quasi-nature of the same social process within which they act (“second nature”). The more that the division of labor progresses in this form, the more will labor become the schismatic sphere of abstract labor and the more will it appear as a manifest extension of the sphere of realization of “exchange”, and the more will it raise the level of development of social culture, although always as a separate “sphere”, since “sociability” in general can no longer manifest itself in an organic unity as the process of life and of labor. Labors become increasingly private and separate labors, but precisely for that reason they become increasingly more interdependent. The process whereby the production of commodities is formed and extended, that is, abstract labor, could at the same time be characterized as a social process of connection into a network of production and reproduction, without which anything like “sociability” could not even exist. One thus observes a peculiarly contradictory logic of this process of linking into a network based upon the commodity form. Where the commodity form represents a higher form of sociability and of social culture, above all in the interstices of pre-capitalist reproduction (with its relatively brief culmination in the urban culture of antiquity), it is still not fully unfolded and cannot fully correspond to the concept of abstract labor. But as the commodity form proper becomes the social form of reproduction and completely unfolds the tautological logic of abstract labor—and this can only occur when labor power itself assumes the form of the commodity, i.e., with the principle of surplus value—it also gradually becomes obsolete at the same time, that is, it becomes clear that it is not in itself a higher form of sociability, but a simple “moment of mediation” for the preparation and effective formation of that higher form. In other words, the commodity form is only a blind transitory stage in the process of the socialization of human reproduction. This circumstance is obscured precisely by the millennial existence of “exchange”, the commodity and money: a “retarded” and undeveloped larval stage which lasted for thousands of years was only broken by the capitalist relation of “modernity”, in the unprecedented unfolding of the dynamic of abstract labor. Only now does the commodity form become transitory in the figure of “surplus value”. Only in this transitory movement does the commodity form become for the first time the total social form of reproduction. This is revealed as a pure self-contradiction, as the crisis form in the transition towards true sociality. Capitalism as a whole can then be understood as a historical process of crisis, not as the end of history, but as the birth-pains of true human society; the beginning of genuine human history is still to be found in the future. This concept of capital as crisis in itself can be understood in a dual fashion that is expressed in the crisis cycle of the internal history of capital. In capital’s ascending phase or in the first phase of the social transition, crisis still presents itself predominantly as the crisis of affirmation of the capitalist relation, i.e., it appears as the crisis of pre-capitalist forms of reproduction in decline, as the volatilization of all corporative, traditional and kinship relations,11 whose crisis still veils and dominates the contradiction of capital itself. This domain of the crisis of affirmation also includes the two world wars, and in this phase the crisis still cannot manifest itself in its “economic” core as a crisis of the form itself, nor can it yet produce a pure concept of crisis. The crisis of capital in itself, in which the transitory character of the commodity form makes itself fully manifest, was announced for the first time in the period of the founding of the German Empire and later, on a very much larger scale, in the world economic crisis. Only today, however, does this crisis begin to rise to the surface with full virulence in its pure form, which makes the abolition of the commodity form a direct question of survival. It is within this context that one should consider the attachment of Marxism to the category of “exchange”. Various moments of the crisis of affirmation of abstract labor were confused with the crisis of capital itself; this is only another way of saying that the Marxism of the workers movement still operated, without knowing it, within abstract labor, and thus within private property. In this crisis of affirmation or of the ascendant phase of the principle of “surplus value” and of abstract labor, the connection into a network of concrete and material social reproduction had yet to arrive at the point of being able to throw off the veil of abstract labor. On the phenomenal level, this is expressed in the fact that the relative separation of the various social units of reproduction was still not overcome on the concrete and material plane, so that the need for “exchange” retained an almost ontological plausibility. The relative separation of the producers, material and technical necessities, and the determination of abstract labor still could not be analytically distinguished, although Marx had already taken the decisive theoretical step; ultimately, for a concrete social program of overcoming the current conditions, this step was still not sufficient, and the Marxism of the workers movement proved itself to be incapable, even on the theoretical plane, of taking the next step. The issue of “separation” was probably most evident in the relation between “city and countryside”, since here one cannot think in any terms other than those of “exchange”. Up until now, no direct and inclusive “network” has been produced, not even within industries, as for example between textile production and the mining industry. This only signifies that abstract labor has not yet completely fulfilled its “task” (such a formulation is obviously only possible a posteriori, since there is no one to “impose the task”) of developing the productive forces, and therefore the increasingly more extensive concrete and material connections, into a network. The “connection into a network” of concrete and material reproduction only becomes incompatible with the shell of abstract labor and thus with “exchange” as its phenomenal form after reaching the stage of the development of the productive forces that we are beginning to enter today. Only now can one indisputably dissociate, on the one side, the connection into a network of concrete material reproduction, carried out “behind the backs” of the producers, and on the other side, the determination of the form of this reproduction embodied in the fetishistic tautology of “labor” manifested as “exchange”. The “separation” of the producers has definitively lost any material and technical basis and is now limited to the determination of the purely abstract form, which is also becoming obsolete and unsustainable. But it would be a mistake to write off the logic of “exchange” between separate units of social reproduction as exhausted only because the concrete interconnection into a network with an effective content implies the dissolution of the material and, so to speak, “technical” basis of this form of social relation. Although the nexus of the form—now pure and without content—of abstract labor and “exchange” is becoming completely obsolete and is manifested on every level as an increasingly unendurable process of crisis, the conscious overcoming of these formal determinations initially encounters almost insuperable obstacles in its own subject. These obstacles, of course, derive from unequal development on a world scale, at least in part. Abstract labor has reached its horizon of absolute crisis, which is proven by the fact that the historically backward regions of the south and east are definitively configured in conformance with this form of reproduction and with the determinations of the subject proper to it (the Legal State, democratization), thus forever restricting any further space for development. What now appears as the definitive victory of western freedom, of democracy and of the “market economy”, as the “end of history”, is actually part of its definitive crisis, in which exactly those basic determinations that united all parts of world society as a planetary system of commodity production, despite the various levels of development, are beginning to give way. But it is not just the diversity of stages of development which clouds the perspective and creates the impression that the collapse of “real socialism” is not the beginning of the end of abstract labor and therefore of the commodity form in general, but simply the victory of truth over error or the “return” of a lost soul to the ontological eternity of bourgeois society. It is, rather, the most profound side of bourgeois subjectivity, even in the most developed countries of capital itself, that flees in terror before the perspective of overcoming its limits. For bourgeois consciousness (including the workers movement), the subjectivity constituted by the commodity form is identical to subjectivity tout court. This is absolutely correct insofar as the social subject constituted by the commodity form was the first, and is still the only one in universal history; there is nothing that can be compared to it. The “first philosophers” and scientific thought in general arose together with the commodity form (Thomson, Sohn-Rethel, among others) and with the first embryonic forms of abstract labor, just as the ability to “say Me” in the sense of a not merely personal subjectivity, but social as well, constitutes an assertion of one’s interests. All the conditions of life and the social relations that transcend this form and become distinct and consequently recognizable are found in the old dependency on nature, in the crude relation to nature and with the natural fetishes, wherefrom humanity embarked, by means of the commodity form, onto the “open” ocean of social subjectivity. All the historical and social conflicts of modernity developed within this form. The hidden objective of the old workers movement was, and could only be, that of raising itself, by means of collective action and the mass organization of the immediate producers, from the non-social and non-individual condition of being mere instruments for the unity of feudal and pre-bourgeois reproduction, to become a socially autonomous being, i.e., to the liberation of the commodity character of labor power. The definition of the subject set forth here is not, however, exhausted with respect to the concept of individuality, in the technical-material necessity of “exchange” between actually separate sectors like “city and country”. In reality, the individual thus constituted is necessarily conceived by its “nature” (or rather by its second, social nature) as a being that confronts the whole of society and that can only make contact with this whole solely exclusively by means of “exchange”, or face the penalty of the loss of self. The modalities of this relation can be quite diverse or they can be thought of within the most fantastic trappings; they remain, however, secondary and depend on the empty and sterile form: “I exchange, therefore I exist”. The isolated worker conceives of himself as a bearer of labor power, without ever giving any consideration to the fact that he is therefore always determined by the form of abstract labor. With logical necessity, he conceives of his individual quota of global social labor as his own individual “exchange” with “society”, which can legislate with “justice” and according to his needs (as abstract laborer). Taken as a whole, this kind of thinking, or this ideology, corresponds to a relatively advanced stage in the development of abstract labor and therefore of the social process of connection into a network. This is evident if we compare it with the basic original bourgeois ideology that became the ideology of the beginnings of the workers movement and, still in the 20th century, of its anarchist currents (Proudhon), cooperationists, etc. The most elementary bourgeois definition of the subject (or of the corresponding concept of individuality) did not yet refer to the “exchange” of the individual with “society”, but of the “exchange” of the producer or “worker” (or of his family) with other similar producers. Here, the fact that each person becomes a social individual because he “represents” a determinate quantity of abstract social labor was not yet separated from the forms of the division of labor: the “exchange” could thus be ideologically and palpably apprehended as the relation between “honest workers”, almost like the “exchange” between bakers, blacksmiths, shoemakers and farmers.13 In the first phase of the capitalist division of labor, the workers movement limited itself to mechanically “collectivizing” this basic bourgeois determination of individuality and subjectivity, converting it into an ideology of “exchange between honest workers”, between collectives (cooperatives) of bakers, blacksmiths, shoemakers or farmers. The critique of capital is here restricted, often explicitly, to the negation of the secondary forms and of the uncomprehended metamorphoses of money, above all of interest-bearing money capital (“obtained without labor”), for which Proudhon provides the best example. The concept of “exchange” between “society” and the individual “worker”—whether man or woman, skilled or unskilled, Christian or Moslem, native or foreign, does not matter—indicates, however, by virtue of its higher degree of abstraction, a higher stage of the development of abstract labor. Once the pure concept of the antithetical duo, “individual” and “society”, was elaborated, in ideology and in fact, the modern workers movement (for us, the “old” workers movement) revealed itself as its most zealous and obstinate protagonist. It is in the most advanced stages of the development of abstract labor, and therefore of the social process of linking into a network, that the category of “exchange” progressively loses, even on the terrain of the workers movement, its last concrete and material rags, so as to present itself in its pure and sterile nakedness as the abstract bourgeois determination of the subject. “Socialism” as the utopia of a “society of labor”, as the pure totality of the expenditure of labor power, approximately realized, perhaps, in North Korea or, on a higher technological level, in East Germany, also entails the purest and most abstract form of “exchange” as a pure functional bourgeois category, as a form of relation that is, so to speak, the typical and idealized form of the real abstractions of “individual” (labor power) and “society” (state). The descent to earth of the celestial ideals of the bourgeois Enlightenment, however, proved to be a veritable hell, and the pure bourgeois definition of the subject proved to be a fantastically bureaucratic and almost idiotic desubjectivization of individuals, almost as soon as they are formed, although only approximately. It is one of the most humorous ironies of world history that it was not the organic development of western bourgeois society that produced such a dismal caricature. In the latter, actually, the “disillusionment” of the bourgeois subject of “exchange” began long before and took much longer to recover its sobriety, this process coinciding with the development of the productive forces destined to break with abstract labor. Only the most backward part of bourgeois society, in which a “form of bourgeois catch-up modernization” was objectively inevitable, could nourish the illusion of a “planned exchange”, that is, the necessarily superficial and doomed attempt to immediately realize the typical ideal categories of bourgeois society in their purest and most abstract form, and even to conceive of this monstrous enterprise as “socialism”. Compared with the real material level attained by the linking into a network of reproduction, the external pseudo-realizations of a society of total labor, i.e., of a State and of a “planned exchange” suffused with bourgeois categories in the pure and ideal state, prove to be mirages or Hollywood stage sets, made out of cardboard rocks, and of fabulous dimensions. The supposedly totalized society of labor only produces old iron and nothing else; the supposedly totalized State possesses a much lower capacity for intervention than any local legislature and cannot even collect its taxes; the alleged “planned exchange”, in short, reveals itself as a simple smokescreen to cover up the largest black market in world history, or as a kind of system of sinecures, perhaps comparable to the social position of the Ecclesiastical apparatus during the Middle Ages. Keeping subject peoples under control by force for a while was something that Genghis Khan already knew how to do. What “real socialism” produced was the caricature of a “pure” bourgeois society such as no human brain could have imagined in a more malignant form. A caricature, since the variants of the determination of the form relating to the West are, up to a certain point, an attempted “realization of ideas”, that is, it is a matter of the “realized” bourgeois ideology, of “false consciousness” converted into institutional reality as the paradox of a clever adaptation of the bourgeois form, in which unconsciousness had to consciously consume itself. The “pure” bourgeois society, grown organically as we now find it at its most developed level in the West, left its ideology of the “exchange of honest labor”, based upon the society of labor, where it belongs: in the heaven of ideas. The latter is actually fixed to the blind self-movement of abstract labor, whose dynamic, together with the development of the productive forces, liberated bourgeois abstract individuality and subjectivity more effectively and purely than the “realization”—only externally applied to backward societies—of the bourgeois ideals of the “exchange of honest labor” between individual and “society”. This liberation went so far that the “desubjectivization” of the subject in the West no longer has to express itself in a republican guard bureaucracy or in the transformation of society into a boy-scout jamboree, as in East Germany. There is undoubtedly a gigantic bureaucracy in the West as well, but the latter reveals itself as a mere executive branch of the blind and reified movement of the “automatic subject” of abstract labor. In “real socialism”, on the other hand, the “purity” of the real abstraction must be presented as a caricatural, antiquated and pitiful embodiment of bourgeois ideals, precisely because the individual bourgeois subject of the real abstraction, which corresponds to the retarded technical-material development of the productive forces within the shell of the bourgeois form, was not consummated in those societies. In these countries, in fact, “workers and peasants” still exist who work with “hammer and sickle”. The peculiar development of the contradictions of a “form of bourgeois catch-up modernization” thus produces a historical caricature, which is a social formation that results from the tension between material backwardness and insufficiently developed individuality, on the one hand, and the bureaucratic voluntarism that institutionally “realizes” the bourgeois ideals of “exchange” and “labor”, on the other hand. The ideology embodied by the most modern bourgeois society thus necessarily concludes by opposing itself as an external apparatus to the subjects of “labor” and “exchange” of the still (relatively) crude and insufficiently developed bourgeois society. The “class struggle”, the archetypal figure that drove the bourgeois “society of labor” forward, was maintained in a petrified form as much in the state and party apparatus of “real socialism” as in the western trade unions and social democracies. If the “rational axis” of this development naturally consists in driving forward the still insufficiently developed abstract labor and in imposing “pure” bourgeois society, in the East it assumed the features of a “catch-up modernization” and particularly paradoxical forms of social contradiction. What remains of this construct are the basic industries of a modern infrastructure. But the temporal horizon of this “rational core” was long ago surpassed. The masses of the East justly demanded the transition to a “normal” bourgeois society, which would keep its ideals in the heaven of ideas instead of letting them fall to earth, dressed up in the clothing of the 1950s, putting on airs and regulating everything to the point of imbecility; they wanted a society that would at last dispatch the antiquated “class struggle” to the museum and that would “liberate” the painfully formed elements of abstract bourgeois individuality and subjectivity—a society that, in a word, would finally make “exchange” operative, thus giving free reign to the perfection of abstract labor in its “sphere of realization”, instead of basing this “exchange” on the practically senseless logic of “planning” with increasingly absurd consequences. The misfortune of the opposition currents and parties, of the “progressive” and “democratic” mass movements of the East, resides in the fact that they came to power precisely in the epoch of the global crisis of abstract labor. What they wanted and what would effectively constitute “progress” for them is already obsolete in the western bourgeois societies, whose progress has been uninterrupted. From the crisis of the stagnation of abstract labor in the East, they throw themselves into the western dynamic of that same crisis; the ideological baggage of the evening was abandoned, only to be replaced by the ideological baggage of the night, which is to say that the crisis of the stagnation of labor in the East is as much an index as a moment of the crisis of abstract labor in general, i.e., of the crisis of the world system of commodity production, of which “real socialism” was always, from the beginning, the backward element (despite its ephemeral ambitions for independence). What is taking place today is not the mere return from “planned exchange” to a bourgeois “exchange”, operational and normalized as the sphere of realization of “liberated” abstract labor, but the crisis of “exchange” in general, as a phenomenal form of the exhaustion of abstract labor in the heart of the world market. In the framework of global society, the reformists of the countries of the East are just like those peasant insurrectionists who still have not heard that the long awaited transfer of power had already occurred a century earlier in the capital and that their leaders and heroes of the moment had long been buried and mummified. They want to start swimming like bourgeois subjects at exactly the moment that the bourgeois subject is condemned to drown. There can be no doubt that what will come “next” cannot be taken from the past of a rusty “class struggle” or from an already superseded heroic epoch of bourgeois society. A post-bourgeois socialism (post-modern, post-Fordist, post-industrial, post-Marxist, etc.) can no longer be based on “labor”, and much less on “exchange”. For the post-bourgeois subject who can no longer be conceived as “an individual who exchanges”, the criteria for “thinking the unthinkable” can only be derived from the existence of the productive forces and from the potentials of the most modern automation, as the latter are being formed behind the backs of the obstinate subjects of “exchange” and “labor”, in the form of a new social potentiality that until now has only existed on the material plane. These new productive forces make it increasingly more impossible for the individual to conceive of his own “labor power” as his individual potential to “spend”, or to consider his “labor” as the individual service corresponding to such “spending”, which, once “objectified”, appears somehow as the fruit of his exchanges with the other producers or with “society”. This individual is less and less “behind” and more “in front” of, or even “on top” of the real productive process, which is already “linked into a network” and socialized, even before he lifts one finger. This productive process increasingly represents not the pure “expenditure of labor power”, but the rational employment of “means”, in the sense of the process of metabolism with nature. And this productive process increasingly demands, first of all, not the production and further development of the productive forces as such and for their own sake, but a rational calculation of material consequences and of functional nexuses. The individual no longer represents a social quantity of “abstract labor”, whose sociability “is realized” as such only a posteriori; rather, he now finds himself a priori in a social correlation of material reproduction which also has to be ex ante “planned” as a “material correlation”, that is, as a rational process of means and ends. What matters now is not the individual expenditure of labor and its aggregate amount, but the planning and direction of the material nexus of reproduction in a directly social manner. It is not at all relevant whether the individual “works” two or five or six hours; the only thing that matters is that the elements set in motion have a “meaning” in relation to the material content and consequences. No one is now the bearer of “labor power” or “service” (objectified in such a way as to be individually mediated) that could enter into an “exchange”, but everyone is part of an entirety of reproduction on the plane of the social totality, whose material movement has to be collectively directed and controlled. Upon this basis, “planning” means something completely different than the “planned exchange” of “honest labor”, which only at this level of development of the productive forces can be recognized as a logical absurdity. Original German text: “Die verlorene Ehre der Arbeit”, in Krisis, No. 10, Erlangen, 1991, available at: www.krisis.org. Translated into English from the Spanish translation. Spanish translation available at: http://grupokrisis2003.blogspot.com/2009/06/el-honor-perdido-del-trabajo.html. 1. This fact could lead an anachronistic observer to conceive of such moments as “culture”, “politics”, etc. (isolated from the immediate unity of the life process as a whole) as “functions” of the labor process of these primitive societies (for example, cave paintings as “functional” in relation to the hunt). This, however, unacceptably projects the “point of view” based on the thought and lifestyle characteristic of the logic of the commodity upon these relations, which know of no “functionalism”. Here one can already see the difficulty involved in breaking with the very way of thought dominated by this logic. 2. 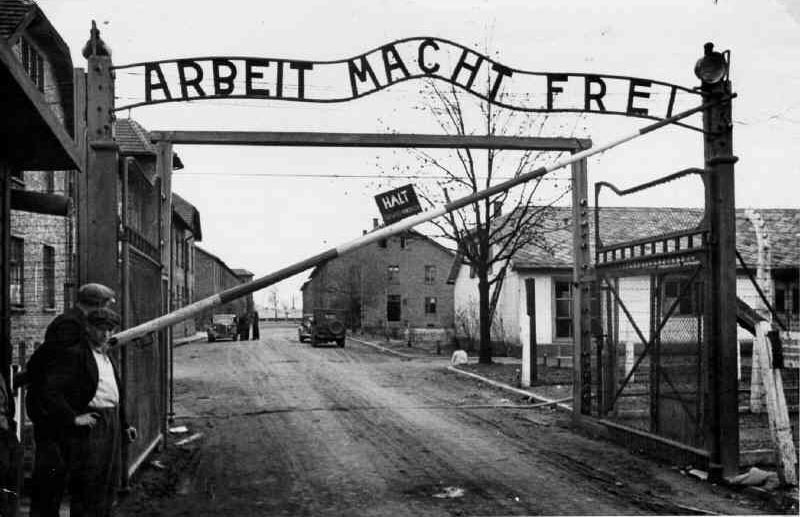 Arbeit macht frei: “Labor Makes You Free”; sign at the entrance to the Auschwitz concentration camp. 3. This is also the most profound error of the Marxists with regard to the question of capital’s character as a “social relation”. Any Marxist who is even a little lucid would be in complete agreement with the statement that capital is not a “thing” (machinery, etc.) but a “social relation”. He conceives of this “relation”, however, as a relation of already presupposed subjects and, at the same time, apparently without any presuppositions, other subjects called “capital” and “labor”. But this inverts the concept of capitalist relation. The “social relation” is in reality the fetishistic and tautological relation of abstract labor converted into an end-in-itself, and only this blind relation, as “automatic subject” (Marx) generates those agents and bearers of social roles as “character masks” who act as antipodes within these boundaries. 4. The lack of concepts becomes obvious when Critical Theory as well as western Marxists zealously devote themselves to the question of whether, in the last instance, private property and the commodity character of labor power existed in “real socialism”, the answer almost always being no, without ever considering the possibility that the real existence of the commodity form and money, of money wages of labor power, of the state apparatus and the legal system, including in the latter the right to work, might not constitute a decisive refutation of their conclusion. Nothing could more drastically prove the fact that “critical” Marxism also argues, fully consciously, within the basic categories of bourgeois fetishism—not to speak of the “official” Marxists who are members of the Party. 5. See, for example, the corresponding fantasy in The Economic Problems of Socialism, by Stalin, or in the Chinese Cultural Revolution, which also found an echo in the most diverse factions of the western New Left and caused particular ferment among its populist elements: the “intellectual” or the “academic specialist” seen as the “friend of the people” or as their “servant”, and that besides the vices peculiar to academic stupidity one must still, as if that were not enough, adore and imitate those of the “workers and peasants”. 6. The critique of the productive forces, from vitalism to “fundamentalist” currents (both within and outside of the Green Party), reflects this correlation of advocating, more or less openly, a return to the poverty of needs as the price of reproduction without the destructive potentials of abstract labor: it does not imagine, even distantly, an escape in the opposite direction, beyond abstract labor. 7. It is not my intention to absolutely and indiscriminately disqualify, as simply “irrationalist”, the artistic and intellectual results—excellent and in many respects pioneers and precursors—of the “Romanticism” of the late 18th and early 19th centuries, or to directly identify them with the cultural pessimism of the early 20th century which, not accidentally, was one of the currents of thought that contributed to the rise of fascism. The thought of the bourgeois era as a whole (including Marxism) oscillated between the uncomprehended poles of “rationalism” and “irrationalism”, in whose reciprocity the form of the commodity as form of thought and social filter of “knowledge” finds expression. Thinking within the commodity form must perforce cast an irrational shadow and can at least lead one to tend to perceive the destructive potential of abstract labor along the lines of “cultural pessimism”. 8. From the critical perspective assumed here, it would be worth the trouble to follow in detail, in their distinct currents and widespread effects, those ideologies that arose in the 19th century and that fully blossomed in the 20th century. But since the objective is to reconsider the problem of socialism and to elaborate a new positive conception of socialism beyond political economy, it is enough for us to demonstrate the total uselessness of the “critique of money” offered by cultural pessimism and vitalism, and to shed light on their reactionary and incoherent character, which strictly speaking do not venture beyond the boundaries of the abstract determination of the form of social reproduction that manifests itself in money and, in spite of the affected condemnation of the “money god”, remains a completely immanent critique. 9. Such a fact simply indicates the dual character of Marx’s theory as a whole: on the one hand, a critique of political economy, and on the other, a legitimizing theory of the “workers movement”. This “dual Marx” can and must be reduced today to his valid core, as the point of departure for new developments. In fact, the task of the workers movement is finished and it has lost its purpose as a requirement for “driving” bourgeois society to the outer limits of abstract labor. The critique of political economy, on the other hand, must be pursued as a task that transcends the “workers movement”, and this transcendence can only be recognized at the current level attained by the socialization process. 10. Abstract labor does not yet exist under these circumstances: the total reproduction process, including its cultural moments, is still a labor process in its entirety and consequently as concrete as that totality. In exchange, to the extent that it occurs on the “margins” of this concrete reproduction, the abstraction of “labor” has to be, so to speak, operational a posteriori, which is expressed in the existence of money (starting with its sacred function, that is, when it is still a “real abstraction” linked to the total life process). Labor itself cannot yet be abstract, and therefore “exchange” is not necessary, but occasional, marginal and literally a posteriori. The producer does not produce “in order to exchange” as realization of abstract labor. This historical and pre-historical empirical circumstance could lead us to consider “exchange”, since it is empirically primary, as the essential category of the commodity form. But here it is a question merely of the undeveloped embryonic stage, from which the essential determination cannot yet be consummated. Based on its own concept, “exchange” is the subsequent phenomenal form of abstract labor, which can only be recognized at a certain level of the maturity of such a relation. The fact that in an almost prenatal stage of this relation it can appear, on the empirical plane, as its opposite, in no way affects this logic. 11. This fact has to this day contributed to a particularly reactionary form of the critique of society and of capitalism, which fixes its positive criteria in the “concreteness”—past or in the process of being abolished—of life in opposition to the social abstraction of labor, i.e., of “value” and its various emanations. Such a reactionary critique is by no means limited to “right wing” or conservative currents or those influenced by cultural pessimism; to the contrary, it is part of the make-up of the consciousness of the workers movement and of its ideologies, including Marxism in its many varieties and Critical Theory. “Progress” and “crisis” are in fact identical insofar as the form of progress is not fully understood and recognized as transitory. 12. I cannot find words to express this absurdity: perhaps if you imagine the situation of some people who live together in the same house, but who only communicate with each other by satellite. Even this comparison, however, is defective, since it takes an absurdity on the concrete and material plane as a given parameter. The commodity form, in “post-industrial” conditions of socialization, is truly even more absurd. 13. It is logical that at this stage of the “exchange of honest labor”, still profoundly influenced by the artisanal division of labor, only the “skilled” worker who makes the exchange, the male head of the family, appears as subject and individual, while his family, his customers, etc., including his wife, are still “instruments”, non-individuals and non-subjects. Honor of labor was the basis of workers revolutionary strugle in Russia in 1917 and in Itally and Jermany in 1918-1921. It is basis of workers strugle in modern revolutionary Egypt. Who are the people who reject honor of labor ? Did they make even one revolution? @meerov21 Here's for your "honour of labour"
Critique of the dignity of labour is as old as the materialist critique of capital. E.g. that Marx quote "Instead of the conservative motto: “A fair day's wage for a fair day's work!” they ought to inscribe on their banner the revolutionary watchword: “Abolition of the wages system!"". But maybe you mean that we should not disparage socially useful activity. If so I agree, but isn't one of the key tasks of communism to rupture the capitalist identification between wage labour and socially useful activity that the phrase 'honour of labour' is used to defend? There's no dignity in having your time and energy squandered on socially useless tasks that serve only to enrich the powerful. After all, aren't we commies the working class against both class and work. Not workers wishing to self administer capital (as if that were possible).